Political corruption charges have rattled the underpinnings of the Pacto del Botànic governing alliance in Spain’s Valencian community, with revelations that the Socialist party regional PSPV-PSOE affiliate and the Bloc Nacionalista Valencià, majority party within the Compromís coalition, are being investigated by Spanish courts for alleged illegal campaign finance practices during Spain’s 2007 general election race. Four separate courts in Madrid, Gandía y Benidorm are said to be investigating charges that in 2007 both the PSPV-PSOE and the Bloc masked campaign contributions from construction companies, which are alleged to have paid Gandía-based communications agency Crespo Gomar more than 1 million euros to cover invoices for public relations, marketing and advertising costs of the parties’ respective election campaigns in the Valencian community. The PSPV-PSOE secretary general and President of the Valencian Community, Ximo Puig, has promised a “complete striptease” of his party’s financing records to clarify the allegations, which include charges that in 2007 the costs campaign stops in Valencia by then-President José Luis Rodríguez Zapatero were financed illegally by contractors through Crespo Gomar. Compromís leader and Valencia Vice-President Mónica Oltra has called for Bloc president Enric Morera to provide a response to the allegations. 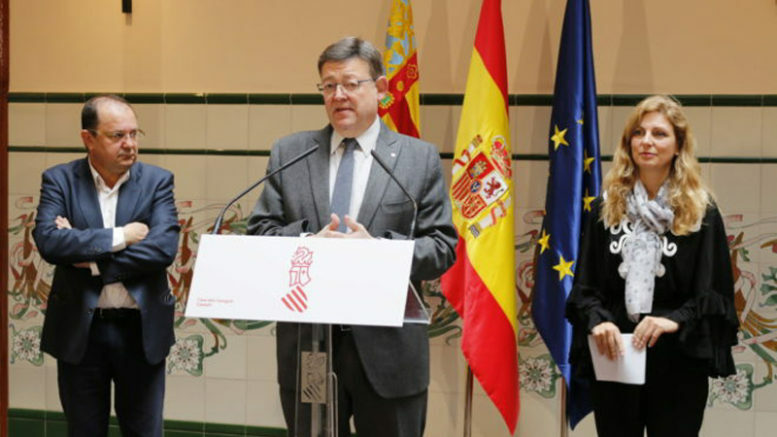 The allegations were initially filed with authorities in 2016 by the Valencia regional leadership of Spain’s governing Partido Popular (PP), which was ousted from control of the regional government in 2015 when the PSPV-PSOE, Compromis and Podemos parties dropped political differences to sign the Pacto del Botànic and form a governing alliance.